https://semichigan.bintheredumpthatusa.com/about	Bin There Dump That Southeast Michigan	https://semichigan.bintheredumpthatusa.com/img/franchisees/51.png	Contact us for more details. Bin There Dump That South East Michigan is a 100% locally owned and operated roll-off bin company that reliably recycles or disposes off any non-hazardous waste that is permitted by law. Our dumpsters and delivery trucks are specifically designed with residential properties in mind. What does it mean to be residentially friendly? It means that our trucks fit down narrow city streets and driveways. It means we can deliver our dumpsters to your front yard without worrying about scraping cars lined on the side of the road. It means being able to place your dumpster on your property without scuffing up your driveway. How? We've developed a unique way to deliver our rental dumpsters, where we place wooden boards under the dumpster so that it never actually touches your property. We pride ourselves on treating your property like our own. 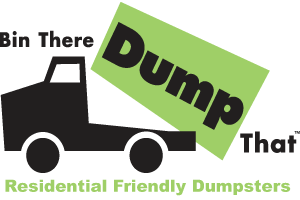 There is no other dumpster rental company in Southeast Michigan that places so much focus on residential clients. To be the preferred dumpster rental company, for all homeowners, remodelers and builders in South-East Michigan. a) We will deliver the best, and most residential friendly customer service in the business. I. Promptly answer the phone when you call, understand your project needs and recommend the best container for your needs. II. Straightforward pricing – single, all inclusive price for your project. No surcharges, no environmental fees, no surprises. III. Clean, courteous and convenient delivery – clean, green bins that are not an eye sore on your property, uniformed drivers, driveway protection, flexible drop off and pickup schedules. b) We will be a socially responsible business – every possible effort will be made to recycle your waste material, and protect the environment. c) We will give back to the community – As residents in the Ann Arbor and Metro Detroit area for several decades, we truly love the region’s natural beauty, enterprising spirit, and value system of the local residents. We are vested in the community’s well being and commit to contributing at least 1% of our time, 1% of our services, and 1% of our equity to local community volunteer efforts.